Doctors and pharmaceutical companies have been slow to respond to growing evidence that peptic ulcers are better treated with antibiotics, rather than the traditional antacids. FOR MORE than two decades, physicians have believed peptic ulcers to be caused by an excess of acids in the stomach, for which they have been prescribing antacids -- substances that treat acidity -- as a cure. But now it has been found that a bacterium called Helicobacter pylori is the culprit, and can be combatted only with antibiotics (Science, Vol 260, No 5105). However, despite compelling evidence, most physicians and drug companies are reluctant to forsake antacids in favour of antibiotics. While some are not convinced that H pylori causes ulcers, still others simply haven't heard about the bacterium (Down to Earth, August 31, 1992). 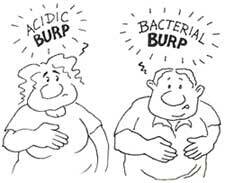 Antacids, which are used to treat upto 90 per cent of all peptic ulcers, accounted for a whopping $4.4 billion last year in the US alone. Yet these drugs do not provide sustained relief. The chance of the ulcer recurring is 1 in 2 after six months, while it is almost certain to return after two years. In contrast, studies reveal that after antibiotic treatment, the chances of an ulcer recurring are 1 in 5. Recently, Enno Hentschel and his colleagues at the Hanusch Hospital and University of Vienna School of Medicine reported in the New England Journal of Medicine that duodenal ulcers recurred in only 8 per cent of patients put on antibiotics -- compared with 86 per cent of patients taking antacids. Few clinics have started prescribing antibiotics for ulcer patients. "Our view is that if you get rid of the bacterium, you get rid of the ulcer once and for all," says Nicholas J Talley, associate professor of medicine at the Mayo Clinic in USA. Meanwhile, scientists are interrogating H Pylori for more information as a key question remains unsolved: How is the bacterium transmitted?